I don’t know about you, but when it starts getting hot outside, I don’t like turn on my oven. Who needs that extra heat? Summer is the season for barbecues, slow cookers and the Instant Pot! 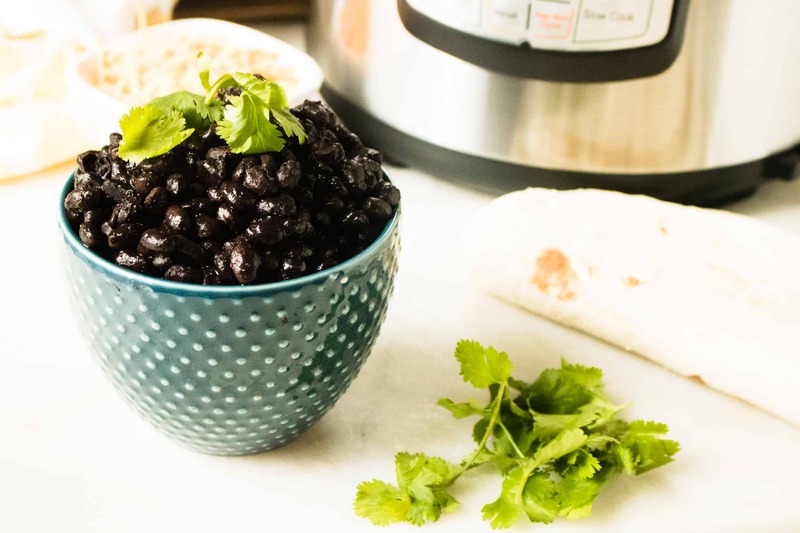 These Instant Pot Black Beans are a breeze to make, and won’t make your A/C have to work harder. Making dried black beans on the stovetop can be a slog. It requires planning in advance, so you can let them soak overnight. Then you still have lots of cooking time to make sure your beans are soft and tasty. 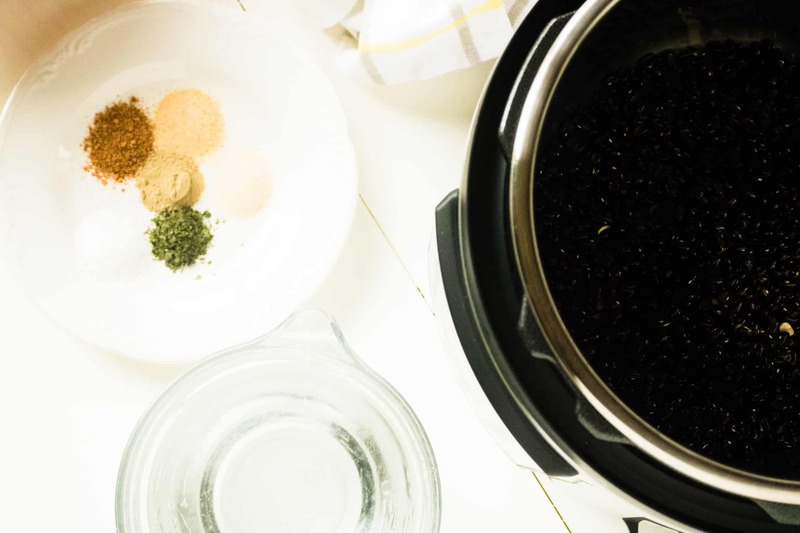 Luckily, cooking dried black beans in an Instant Pot changes all of that! 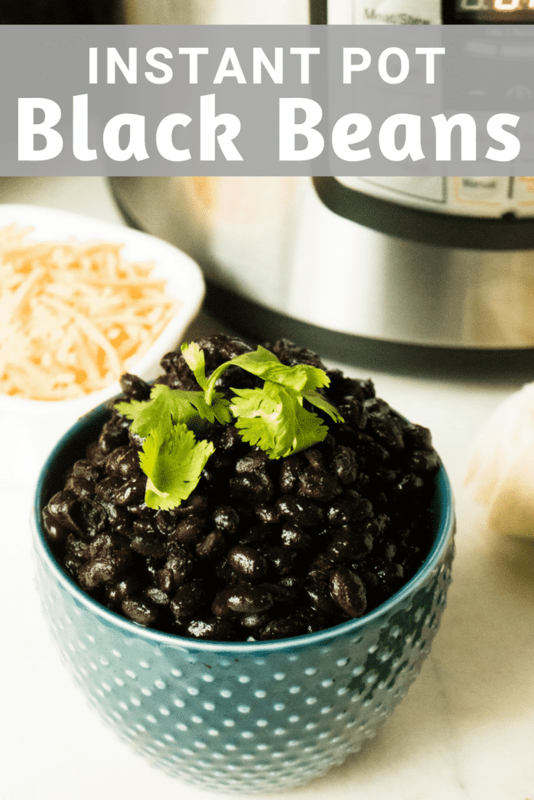 With this Instant Pot Black Beans recipe, they go from the bag to plate in less than two hours! 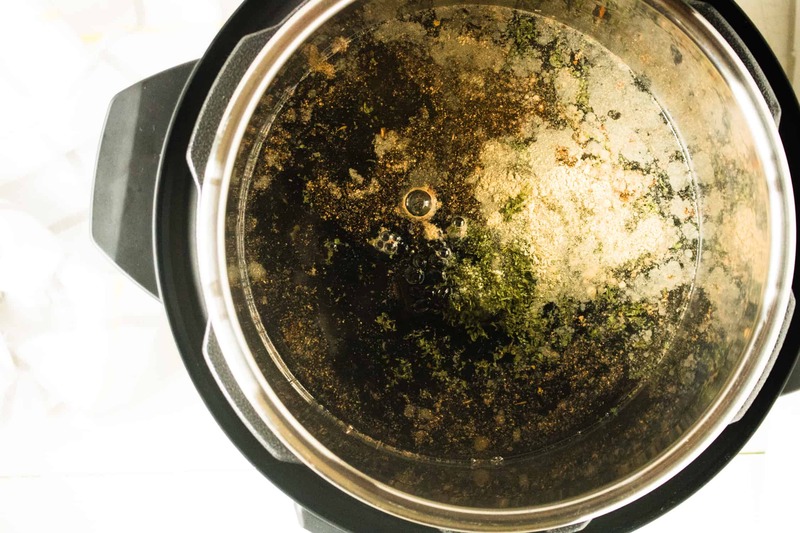 While cooking in the Instant Pot is so quick and easy, it can sometimes leave behind stubborn stains and build-up. Here’s an easy solution for returning the Instant Pot inner liner (the stainless steel pot) to its original sparkling state. Sprinkle some Bar Keepers Friend in the bottom of the pot, add a touch of water, and give it a scrub with a Mr. Clean Magic Eraser. This simple combination really does work wonders! If you’re watching your budget, they can save you a pretty penny, since canned black beans cost roughly three times more than dried black beans. Canned black beans often contain high levels of sodium. For those on a low-salt diet, canned beans are not the best option. Using dry black beans gives you all the control, so you can add as much or as little salt as you want. Legumes are high in protein, and a smart choice as an alternative to animal products. They are low in fat and cholesterol-free. An excellent source of resistant starch, beans are great at balancing blood sugar. Black Beans in particular are very high in fiber and rich in folic acid. First, gather your ingredients and measure out your spices. Next, combine all of the ingredients in the Instant Pot. Close the lid on the pressure cooker, and turn the valve to sealing position. Set to a manual high time for 35 minutes. When the cooking time has finished, allow for a manual (natural) release for 25 minutes. Once you’ve released the pressure, stir and serve as a side dish, or in any recipe calling for black beans. 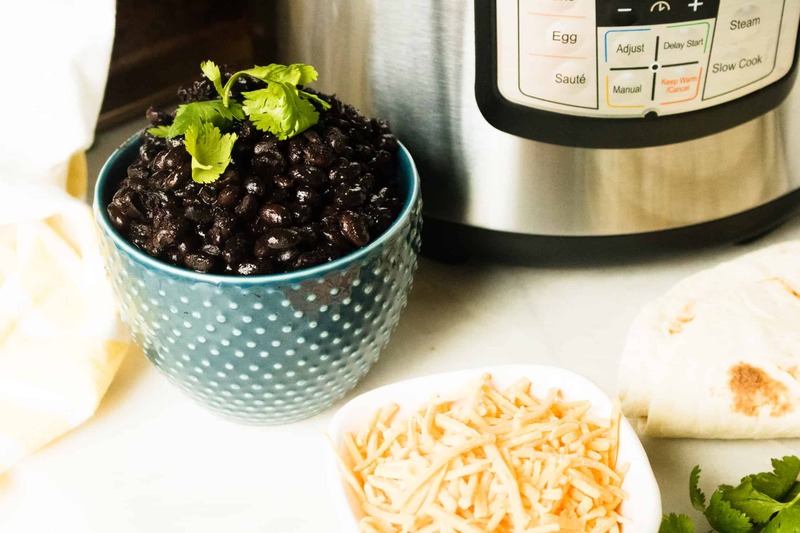 This Instant Pot Black Beans recipe goes from the bag to plate in less than two hours! Set to a manual high time for 35 minutes. When the cooking time has finished, allow for a manual release for 25 minutes. Stir and serve as a side dish, or in recipes calling for black beans. note: for a neutral flavor, leave the spices out except the salt.